PUNE: The survey conducted by Kantar IMRB for RCI reveals that Pune tops the wish list of travellers. It also mentioned that Pune came up as one of the most popular destinations for short trips within the state, with around 8% of travellers choosing the cultural capital of Maharashtra for a holiday. RCI is the global leader in vacation exchange highlights the latest trends and habits among Indian travellers and benchmarks current attitudes towards timeshare. The report comprised a sample size of 2008 in depth interviews across including Delhi, Ludhiana, Kolkata, Mumbai, Hyderabad, Bangalore, and other major cities. Out of the total sample size 31% of the respondents were timeshare owners. The report revealed many other interesting findings. Seeking Rejuvenation and Quality Time: The study examined Indian travellers to understand their motivations behind taking a holiday and the factors that go into deciding where to go. The top rated reason travellers take a vacation is to rejuvenate (60%), followed closely by spending quality time with family (51%) and taking time away from city life (36%). When deciding on a destination for holiday, travellers cited scenic beauty (64%), convenient place to travel to (55%) and affordable (42%) as their top factors. 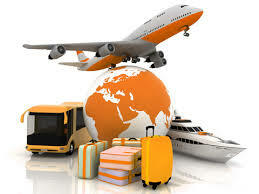 As a result, Goa, Delhi and Kerala were the most popular domestic destinations among Indian travellers. Globally, Indian travellers are most likely to travel to Dubai (20%), Thailand (13%) and Singapore (12%). The survey also revealed that Indian travelers relish the last-minute decisions, with more than four in 10 planning their holidays four weeks or less ahead of time. Sabina Chopra, managing director, RCI India said, “It is encouraging to observe the response to timeshare in recent times. Timeshare has redefined the satisfaction quotient for the Indian traveller by providing convenient bookings, planning efficiency to scenic destinations, five-star quality accommodation, and adventurous activities.